Facing a job search can be a daunting prospect. Perhaps you are currently employed, but looking for the next step in your career. Or, maybe you’ve recently graduated or been laid off, and you need to find employment as soon as possible. Regardless of your job search circumstances, the internet can be an invaluable tool to help you find information about companies and their available positions while publicizing your professional skills and experiences. In 2014, five job search websites lead the pack when it comes to connecting candidates with great opportunities. 1. LinkedIn. This professional social networking site draws in a staggering amount of traffic from 175 million members across 200-plus countries. At no cost, users can create an account and build a profile listing their professional experience. Among hiring managers and recruiters, LinkedIn is the most used website for connecting with candidates. 2. Glassdoor. Referring to itself as the “Trip Advisor of career services,” Glassdoor.com goes beyond merely providing a list of available jobs. It helps users find and report relevant information about employers, including salaries, interview questions, and work environment. With information for over 160,000 organizations, Glassdoor has helped millions of users learn more about prospective employers before applying for their available positions (also available on the site). 3. Indeed.com. This powerful employment search engine helps jobseekers pull information from multiple sources at the same time, from company listings to news sites to job boards. To hone searches further, you can use the advanced search function to pinpoint positions based on keyword, location, and salary range. With over 70 million unique visitors and 1.5 billion searches performed each month, Indeed is also a universal resource: It serves audiences in 50 different countries speaking 26 different languages. 4. SimplyHired. Headquartered in Sunnyvale, CA, SimplyHired is similar to Indeed.com in that it acts as a search engine to collect job listings from multiple sources. It also provides an additional feature that shows users which of their LinkedIn connections are affiliated with each job. With over 30 million unique visitors each month, this site is clearly making its mark on the recruitment industry. 5. Monster.com. Since its creation in 1996, Monster.com has amassed a following across 50 countries and offers free and paid services to recruiters and jobseekers. 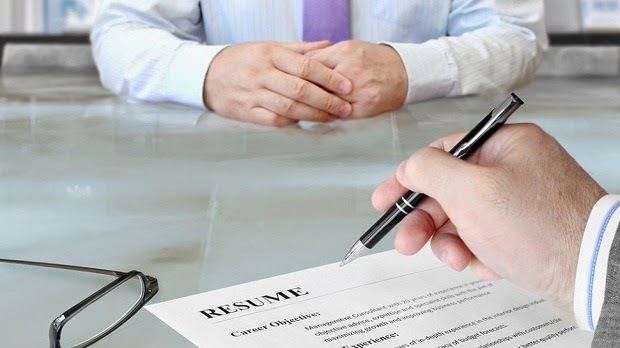 In addition to allowing users to post resumes and positions, the job board also offers a treasure trove of valuable advice regarding career and employment topics such as cover letter and resume writing, interview tips, and resignation letters. As you consider these and other job boards, make sure to explore their unique features to gain the full benefits they have to offer. Although the amount of employment information on the internet can be overwhelming, targeting a few select job sites for your search is a smart and efficient strategy that will help you find the right opportunity before you know it. Author Bio: At IT Accel, our IT recruiters in Los Angeles focus on the following services: technology staffing, head hunting, interview coaching, employee retention consulting and more. If you are an employer looking to fill a position OR a job seeker looking for the right fit, please contact us today!